Ahhh the bank holiday. The famous three-day weekend that we look to as the proverbial light at the end of the tunnel. We look forward to ‘sorting our life out’, tending to that long list of chores and errands we just haven’t found time for in the last two, three (five, ten?!) weeks. The friends we’ll catch up with. The new exhibit we’ll see. The recipe we’ll finally try. And then just like that, as soon as they appear, those precious hours have flown by. In other words, planning out your leisure time will actually help you relax more. 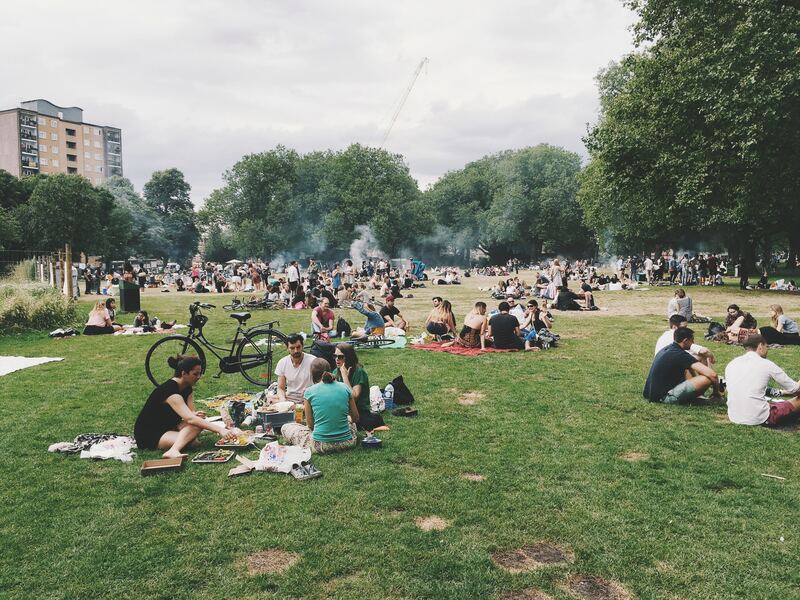 So without further ado, here are Feedr’s 3 tips for making the most of your bank holiday weekend while getting some much deserved R&R. It might seem contradictory to make a schedule for your fun-time, but trust us, it will massively help you tick off your to-dos and leave more time for spontaneity and socialising! We’d suggest making a list of all the things you’d like to accomplish on the weekend, and split them into categories called ‘Errands’ (cleaning the house, paying a bill, going to the post office, buying groceries..), ‘People’ (going for drinks with friends, calling your mum, lunch date with bae…), and ‘Me Time’ (catching-up on reading, hitting the gym, sleeping in…). You might be tempted to stay in bed on a Saturday morning, but chances are however you start your weekend, that’s how it will continue So get on out there and you’ll be better for it! Schedule the ‘Errands’ activities into a block of time as close to the start of the weekend as possible, and just do them. We know, we know, you just want to lie in and laze around on a Saturday because you can, but getting your errands done first thing means they won’t be taking up precious mental energy later in the weekend, and will give you a massive sense of accomplishment right from the start. What better way is there to set the tone for the weekend?! ‘People’ activities can be tricky. In an age of interconnectedness that sometimes verges on invasive, we are being pulled in a million different directions. Feeling like you can’t say no to a friend without a good reason, or having FOMO on a gathering can cause certain anxieties in some people. See one or two groups of friends and do something you enjoy, like getting a great cup of coffee at your local cafe. Instead, pick one or two people or groups of people you’d like to see, organise a fun activity with them, and enjoy your time together. It’s okay to pass up an offer from a friend, it won’t be the end of the world. Trying to please everyone will only burn you out, stress you out, and in extreme cases, could lead to resentment. Your friendship deserves better. Plus, there will always be next weekend. Finally, make time your yourself. ‘Me Time’ is a category that is usually the first to go when you have many demands on your time. Unfortunately, the only person that loses out long-term in that scenario is you. Taking time to go for a long walk by yourself, tucking up in bed with a glass of wine and a movie, or attending an event/gathering related to something you’re interested in by yourself will boost feelings of independence, and productivity, which will inherently lead to feeling more fulfilled. Don’t underestimate the power of disconnecting with the world and re-connecting to yourself. Taking care of yourself by doing activities you love is important for personal wellbeing. Disconnect from your phone, catch up on some reading, and relax for a second. You’ve earned it. There have been several studies showing that going to bed and waking up at the same time every day carries swathes of cognitive and health benefits, including reduced risk of cardiovascular disease, boosted metabolism, and higher academic performance. If you’re one of those people who feels like the weekend is never long enough, We’ve got news for you. On the weekend, try waking up at the time you would normally wake up for work. Boom! Your weekend just got longer! A study from the Harvard Business Review found that those who woke up early set more goals and feel more in charge of making things happen. They also tend to be better at their jobs. Seems like the early bird really does get the worm. To avoid feeling tired in the week, try to go to bed and wake up at the same time on the weekend as you would Monday to Friday. You don’t want to end up like this guy on your desk come Tuesday morning! Now, this doesn’t mean you can’t go for a tipple on Friday night. But it will encourage healthier life habits overall, as you’ll be less likely to over-drink when you know you’ve challenged yourself to wake up at 7am on Saturday morning (preferably hangover-free!). If nothing else, it’ll be waking up when it’s time to go back to work much easier. Look, we spend so much of our Monday to Friday tackling things – deadlines, projects, tending to our families, networking after business hours, the list just goes on. It can be difficult to break out of the “I need to always be doing something” mentality that pervades the workforce. Psssst…. The weekend was made for relaxing! Sometimes, just switching off is the best thing you can do for yourself and everyone around you. The key is to do it with intention. If you are feeling guilty for lazing around, that probably suggests you feel you should be doing something else. Figure out what that something else is, and either do it, or accept that you’re not going to do it and enjoy not doing it. Feelings of guilt will do nothing to help your stress levels. Instead, decide deliberately, and with intention, how you spend your time, and you’ll have a much more relaxed experience on the whole. Next time you feel guilty about not going to the gym, stop yourself and reason through why you haven’t gone. Then decide whether you really feel strongly enough about it to go. If yes, drop everything and go! If not, no stress, just accept it and move on to doing something else. We’ll be trying some of these ideas this weekend, as we try to unwind and relax in the London sun. At Feedr, we’re always open to trying different tactics of boosting our wellness and maintaining a good work-life balance. We aren’t perfect and certainly don’t get it right every time, but if you never try you’ll never learn! So here’s to the long weekend!